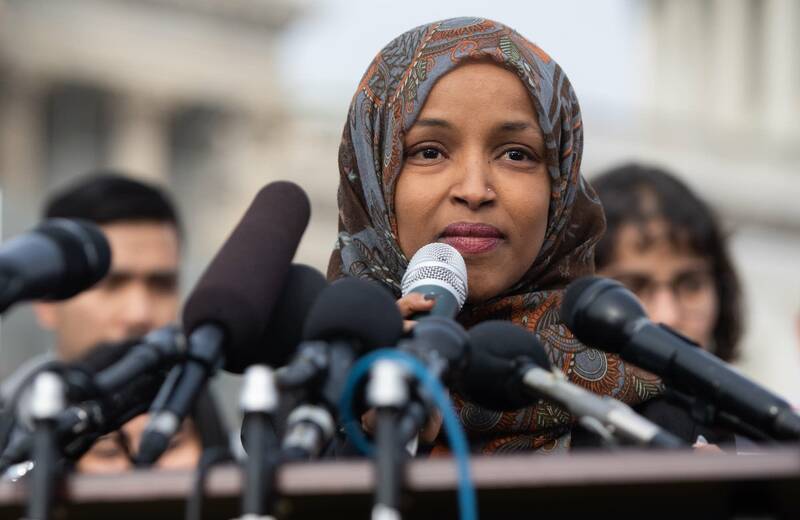 Top Democrats on Saturday rushed to defend Rep. Ilhan Omar after President Trump retweeted a video that was edited to suggest she was being dismissive of the significance of the worst terrorist assault on U.S. soil. Minnesota Sen. Amy Klobuchar, a candidate for the Democratic presidential nomination to challenge Trump in 2020, tweeted late Friday that "the video the president chose to send out today will only incite more hate. You can disagree with her words — as I have done before — but this video is wrong. Enough." Former Texas Rep. Beto O'Rourke, another 2020 Democratic presidential candidate, said the Republican president's tweet was an "incitement to violence" against Omar, who is Muslim-American, and others like her. Klobuchar noted that a New York man recently was charged with threatening Omar's life.